I just received this picture of Lawrence via text message. 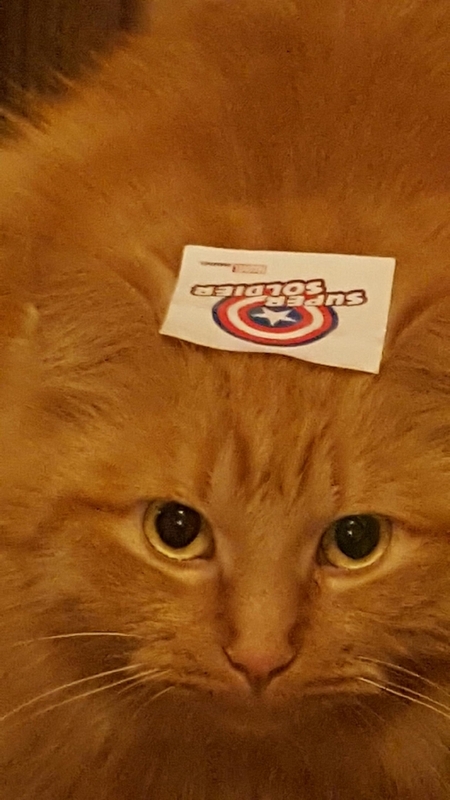 My children thought I would find it funny that she was labeled as a Super Soldier. I will not find it funny tomorrow when I am trying to get it out of her fur.